KGI Securities analyst Ming-Chi Kuo is best known for his predictions about Apple’s upcoming iPhones, but this time he’s got a scoop on the Galaxy Note 8 coming out of Samsung’s foundries later this year. According to Kuo, the dual camera on the Note 8 could be the “the most important upgrade” for the new Galaxy Note phablet. Taking a page out of Apple’s iPhone 7 Plus, which has a highly rated and ranked camera system, Samsung is going to put a dual camera on the Galaxy Note 8, allowing it to take 12MP wide angle shots along with 13MP telephoto shots. 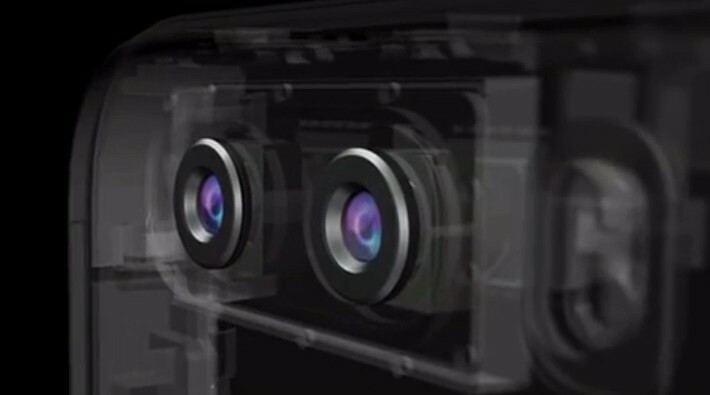 It’s even going to have 3X optical zoom. So, the Galaxy Note 8 could actually be ahead of one existing iPhone model and another that hasn’t even hit mass production yet. If that’s true, then Google Pixel 2 has something to shoot for, figuratively speaking. The original Google Pixel launched last year has one of the most highly rated smartphone camera systems in the world, according to several benchmark sites. If the Galaxy Note 8’s dual camera system is going to be even better than iPhone 8’s, then Google should sit up and take notice for its 2017 smartphone plans. We know from sources that Google won’t be upgrading its camera hardware, but will be compensating for it in other ways. That can only mean quality enhancements via tweaks in the software powering the camera on the Google Pixel 2. Rarely has Kuo come out with information on Samsung products, but considering his reputation and accuracy with Apple device details, this information won’t be taken lightly. Besides, according to The Verge, Samsung did confirm a while ago that it was testing a dual camera system for the Galaxy S8. That test did not make it to production, obviously, but it’s very possible that Samsung will be able to get things ready in time for the Galaxy Note 8’s production. Of course, that will imply a higher price tag and possibly a redesign of the phone’s dimensions, but neither of those things will be incongruent with Galaxy Note devices in comparison with Galaxy S models. What’s even more interesting to note about this new development is that high-end smartphones may soon come with dual camera as a standard feature. Google set the bar really high with a single camera system, but iPhone 7 Plus has praise from lots of professional photographers, especially for its bokeh effect that can only be achieved with a dual lens system. The camera being among the most important features for the majority of smartphone users around the world, this could be the next focal point of development. In a casual survey conducted by TecWorkz, the four most important things a potential smartphone buyer looked at were the battery, the processor, the camera and the display, in that order. Everybody wants a smartphone with a battery that lasts all day, and we know how that’s coming along. Everyone wants a faster phone, and there’s really no end to that either. Now, it’s happening with smartphone camera systems and display panels. Everybody will soon get on the dual camera and OLED bandwagon, until the next great technology comes along. With camera technology having been around since 1888 with the “Kodak”, it’s actually surprising that smartphone cameras have taken so long to reach this level of quality and performance. Granted, the miniaturization of components is directly related to the rate of technology development on that front, but even camera phones have been around for at least 17 years now. Regardless, smartphone makers are now concentrating on providing the best photography capabilities possible on a small device. And in this race, Google and Apple currently stand near the front of the line, with Samsung keen on joining them there with the Galaxy Note 8.